African Americans (AA) and rural communities often suffer disproportionately from poorer health. Theory-guided research examining how individual- and community-level factors influence health behaviors and contribute to disparities is needed. To understand how a social network model that captures the interplay between individual and community factors might inform community-based interventions to reduce HIV risk in rural AA communities. Eleven focus groups with 38 AA 16–24 year olds, 42 adults over age 25, and 13 formerly incarcerated individuals held in community settings in two rural, predominantly AA counties in North Carolina. Thirty-seven semi-structured interviews with multiethnic key informants. 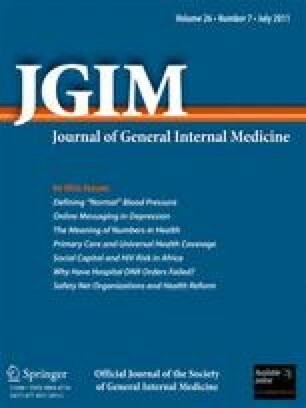 Semi-structured interviews and focus groups with open-ended questions assessed a) perceptions of multi-level HIV risk determinants from a social network model (individual, interpersonal, social, economic, political and structural) identified through literature review and b) community needs and assets affecting local HIV rates. Qualitative data was analyzed using directive content analysis guided by a social network model. We identified four themes regarding the interaction between individuals and their communities that mediate HIV risk: interpersonal processes, community structural environment, social disorder, and civic engagement. Communities were characterized as having a high degree of cohesiveness, tension, and HIV-related stigma. The community structural environment—characterized by neighborhood poverty, lack of skilled jobs, segregation, political disenfranchisement and institutional racism—was felt to reduce the availability and accessibility of resources to combat HIV. Adults noted an inability to combat social problems due to social disorder, which fuels HIV risk behaviors. Civic engagement as a means of identifying community concerns and developing solutions is limited by churches’ reluctance to address HIV-related issues. To combat HIV-related stigma, physicians should follow recommendations for universal HIV testing. Besides asking about individual health behaviors, physicians should ask about the availability of support and local community resources. Physicians might consider tailoring their treatment recommendations based on available community resources. This strategy may potentially improve patient adherence and clinical outcomes. We would like to acknowledge the contributions of all steering committee members in the development of Project GRACE Consortium: Larry Auld, Reuben Blackwell, Hank Boyd, III, John Braswell, Angela Bryant, Cheryl Bryant, Don Cavellini, Trinette Cooper, Dana Courtney, Eugenia Eng, Jerome Garner, Vernetta Gupton, Davita Harrell, Shannon Hayes-Peaden, Stacey Henderson, Doris Howington, Clara Knight, Gwendolyn Knight, Taro Knight, Patricia Oxendine-Pitt, Donald Parker, Reginald Silver, Doris Stith, Jevita Terry, and Cynthia Worthy. We would also like to thank the three anonymous reviewers, Dr. Amina Chaudhry, Dr. Karran Phillips, and Mr. R.H. Wright for their helpful comments on this manuscript. We would especially like to thank the assigned Deputy Editor for her very detailed and thoughtful comments which strengthened this manuscript tremendously. This work was funded by grants from the National Center on Minority Health and Health Disparities (R24MD001671) and The University of North Carolina Center for AIDS Research (UNC CFAR P30 AI50410). Dr. Corbie-Smith is a Health Disparities Scholar with the National Center on Minority Health and Health Disparities. Drs. Cené and Akers received support as funded scholars through the Clinical Translational Science Award-K12 Scholars Program (KL2). The CTSA is a national consortium with the goal of transforming how clinical and translational research is conducted, ultimately enabling researchers to provide new treatments more efficiently and quickly to patients. Drs. Cené and Aker’s work on this project was supported by award number KL2RR025746 and KL2 RR024154-0, respectively from the National Center for Research Resources, a component of the National Institutes of Health (NIH) and NIH Roadmap for Medical Research. Dr. Powell Hammond is supported by the National Center for Minority Health and Health Disparities (Award # 1L60MD002605-01), National Cancer Institute (Grant # 3U01CA114629-04 S2) and a developmental award from the UNC Center for Aids Research Award (CFAR P30 AI50410). The content is solely the responsibility of the authors and does not necessarily represent the official views of any of the funding agencies. This paper was presented at the 32th Annual Meeting of the Society of General Internal Medicine, May 14, 2009, Miami, Florida. NC Rural Economic Development Center. North Carolina Rural Data Bank. http://www.ncruralcenter.org/databank/index.html. Updated 2009. Accessed July, 2010.